Once the Bunsen burners are lit, and the chemicals are brought out of storage for your high school chemistry class, problems can arise for many school districts. The average high school chemistry class can be a very dangerous place for both students and faculty. Here are some recent stories ripped from the headlines that quite frankly are a bit shocking and illustrate what I am talking about. 5 students injured after science experiment explosion at Glendale school - A science experiment went wrong Wednesday afternoon at Eleanor J. Toll Middle School in Glendale when a glass beaker or glass bottle exploded, giving five high school students lacerations, according to a school official. Mercury Is Stolen, Spread at Ballou High - By the time the D.C. Hazmat Team and the D.C. public health officials arrived, it was too late to contain all the spills………..As a result of the spill, Ballou High School was closed for 35 days and over 200 homes were tested for mercury contamination. Total cleanup costs were about $1,500,000. 6 injured in chemistry classroom fire at Woodson High in Fairfax - A chemistry demonstration at a Fairfax County high school went out of control Friday morning, with a flash of flame engulfing a group of students, leaving two with serious burns and also sending three others to the hospital. The combination of inexperienced staff, hazardous chemicals and TEENAGERS, can result in disaster. More importantly if proper protocols are not put in place for the secure storage, usage and disposal of the toxic substances, school districts can find themselves in REGULATORY HOT WATER. 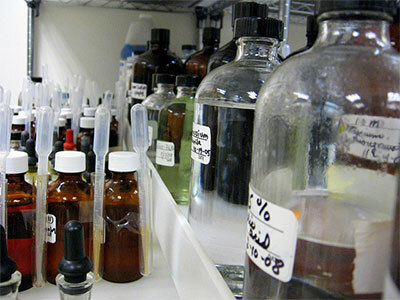 Most of the waste chemicals resulting from science laboratory experiments are considered hazardous, so the generation, storage, and disposal of hazardous wastes must be given special consideration after lab experiments are completed. It is important that district personnel have a thorough understanding of the cradle to grave requirements for hazardous waste generators under the Resource Conservation and Recovery Act (RCRA). Hazardous chemicals are used in scientific laboratories; shop classes; art and photography classes; pool and healthcare facilities; and maintenance and landscaping departments and they all require special management. Hazardous waste management is a complex process requiring expertise that many districts simply do not possess. Consequences from improper hazardous waste management can be significant and costly for budget strapped school districts. A Los Angeles County school district was recently fined for improper chemical storage and failure to submit an HMBP, and the district was required to hire a full-time compliance manager. In 2013, a San Diego County school district was penalized $315,000 for hazardous waste storage and HMBP violations. Can your district afford to absorb these types of fines? All district personnel associated with the school science laboratory share the responsibility to minimize the amount of waste produced, and to dispose of wastes in a way that has the least impact on human health and the environment. Prior to generating and managing any wastes, carefully evaluate each experiment and confirm that your work environment and disposal methods are safe and in compliance with all applicable regulations. It is important to be able to identify your hazardous waste generator status, and understand your requirements under the law. Do not dispose of any chemicals by evaporation in a fume hood or other location. An experienced and licensed hazardous waste disposal company may be a great option for your school district to help navigate the complexities of managing your waste streams. 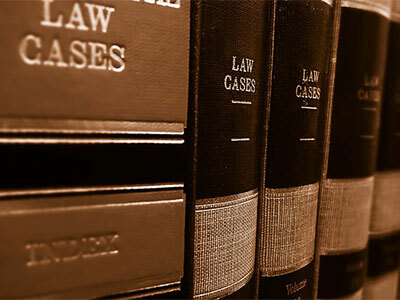 By outsourcing many of the tasks associated with managing your hazardous waste, you can ensure that protocols are established and minimize the risk of costly lawsuits without having to hire a full-time employee. In the long-term, the benefits you will realize from an approved and financially sound hazardous waste management company will protect your district, ensure that your waste is taken care of appropriately and according to the law, and help develop best practices to ensure the safety of your students and faculty.